Oh boy! I'm very excited about this tutorial. 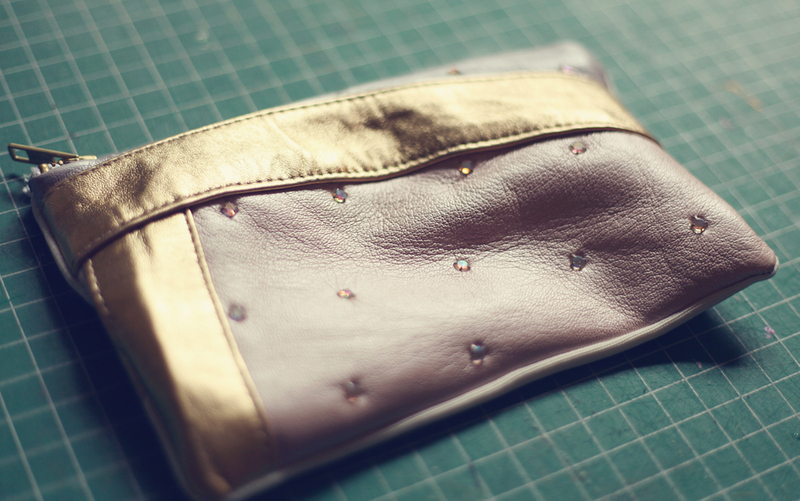 I'm sure many of you already know how to make a simple lined zipper pouch, but I wanted to change it up a bit. I picked up this weird 80s leather vest at the thrift store quite a while ago for five dollars. My intention was to actually wear this thing, but it was a bit large and honestly I wasn't feeling it once I got it home. Regardless, the leather is lilac, bubblegum pink, and gold. There are little rhinestones attached to the whole thing. The other day I got the idea to make a little pouch from this guy. See the full how to after the jump. If you want to see any of the photos, just click on them to enlarge! Here's what I started out with. 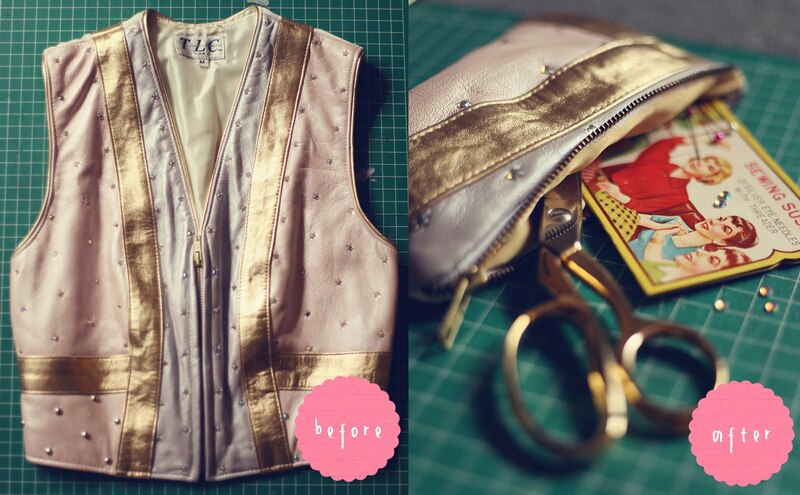 I didn't end up using the snaps since I pulled the zipper out of the vest and used it instead! The gold silk is leftover from the cutout shoulder blouse I posted a while back. Obviously, the larger section of leather you have, the larger your finished product will be. I used this vest because I had it around the home, but also am interested in making another from thrifted leather trenches or XL coats. My first step was disassembling the vest. I removed the binding around the outside, removed the liner, and pulled the seams out of the zipper. 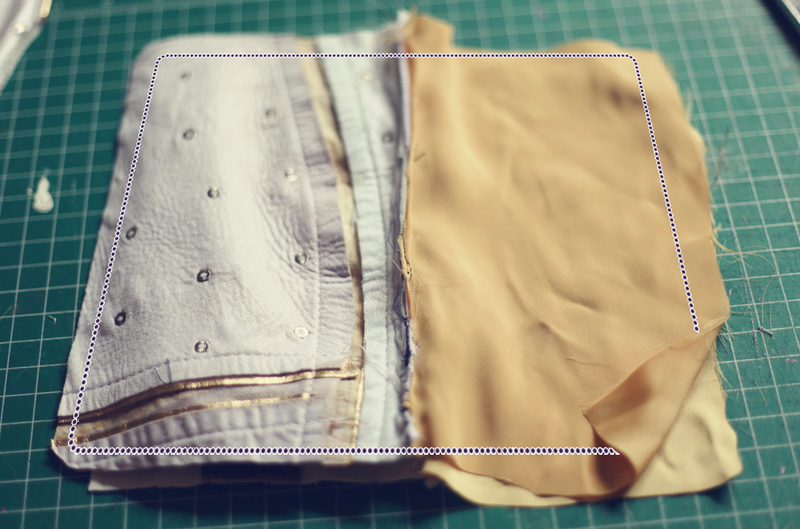 Then you cut out four pieces — two of the outside and two for the inside lining. I used one pieces of the multicolored leather for the front and then a section from the back of the vest, which is a white nylon with gold leather detail. 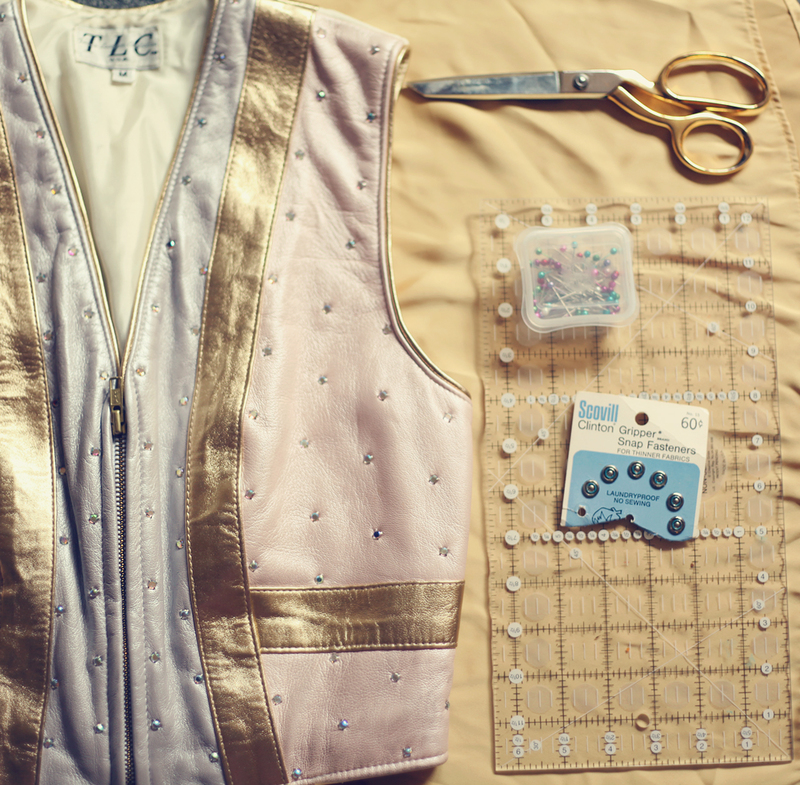 I made sure to use pliers to remove a few rhinestones so that they wouldn't get in my machine's way. 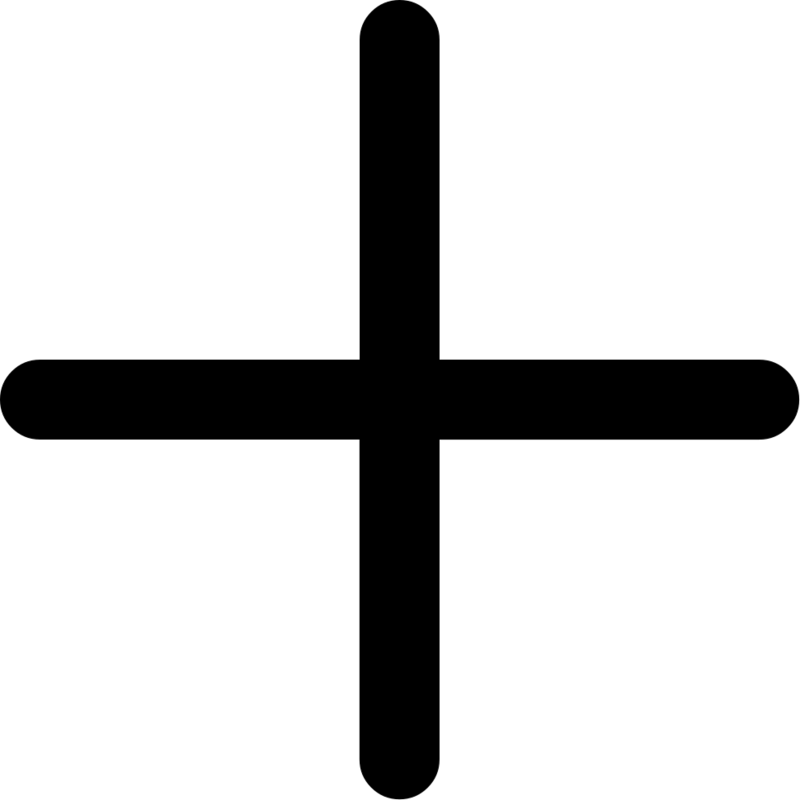 You're going to start out by lining up your pieces. In order for this to come out correctly, line them up like this: lining (right side up), zipper (top side up), and shell (right side down). 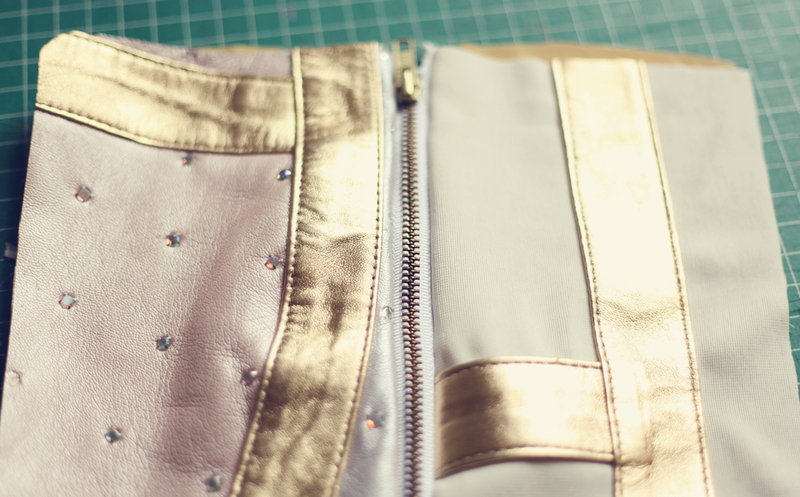 Then I used my sewing machine to sew a straight line across the top of the stack closely along the zipper. Since I'm using a metal zipper that's a little larger than normal, I did a little bit of hand stitching in a couple of places just to insure evenness. When you're finished stitching, this is what you will end up with when you turn the lining and shell in the proper direction. 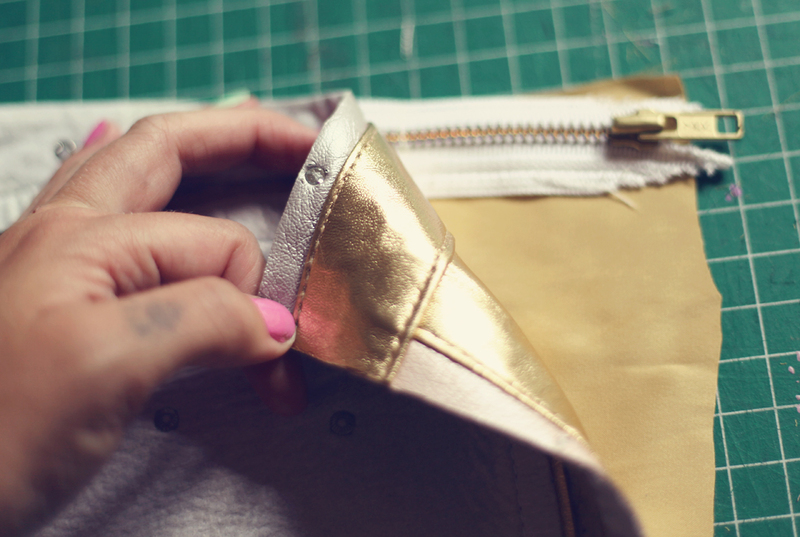 At this point you do the exact same set up — lining, zipper, and shell. Once I had mine lined up, I unzipped and removed the already attached half just to make it easier to sew. Did I mention that kitty wasn't much help today? 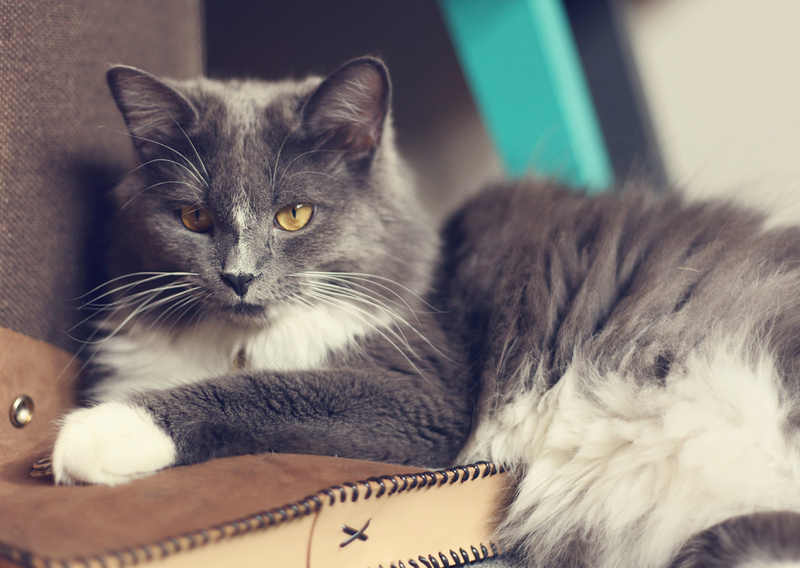 She was feeling quite devious and was having more fun lying on my work station and spilling my pins everywhere. Silly Nugget! Okay, so once you have each side attached to the zipper, you'll end up with this. Pretty, right? We're almost finished! It is so important that you unzip the zipper at least half way before this step. If you don't unzip it, then it will be nearly impossible to turn your pouch inside out! Pull both of the shells to one side and both of the lining pieces to the other. 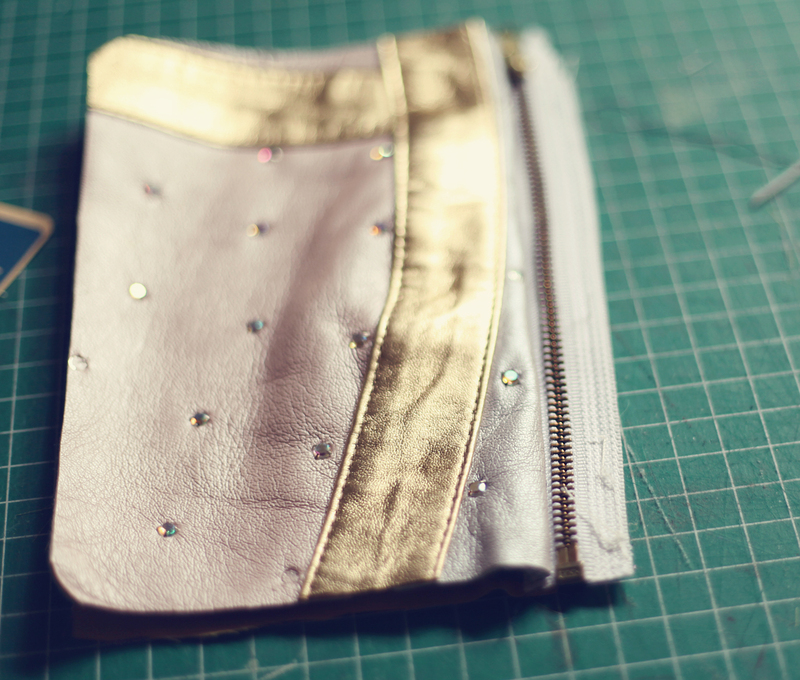 Make sure the teeth of the zipper are pointing inside (ie: towards the lining) when you stitch the edges. 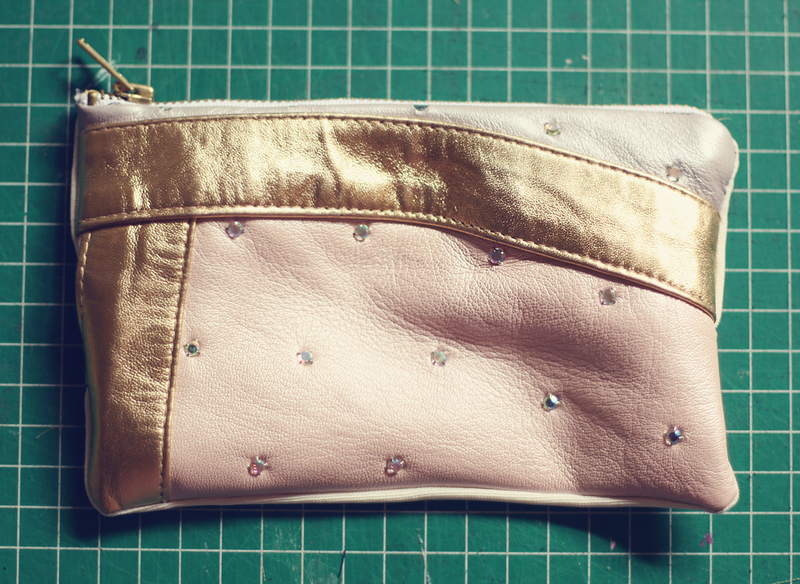 Sew around the outside of the entire pouch and leave about two inches or so at the bottom of the lining. 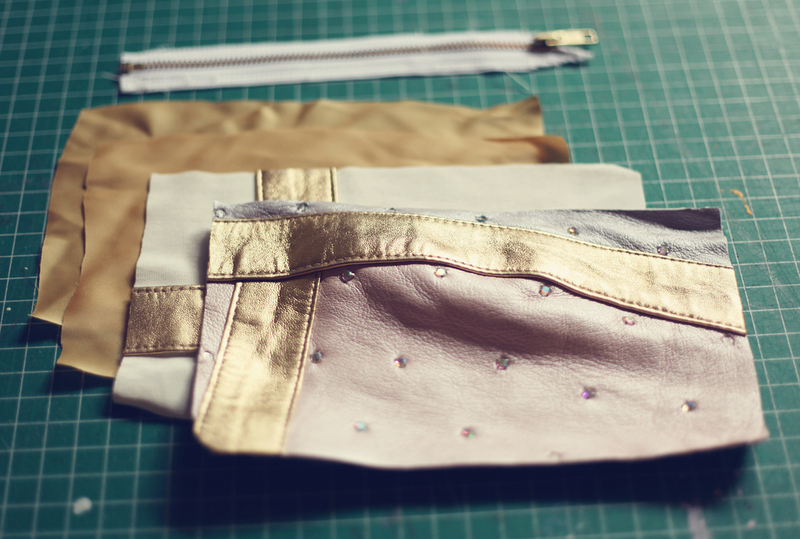 Once you're finished sewing, turn it inside out and push the lining into the pouch. And wha-la! 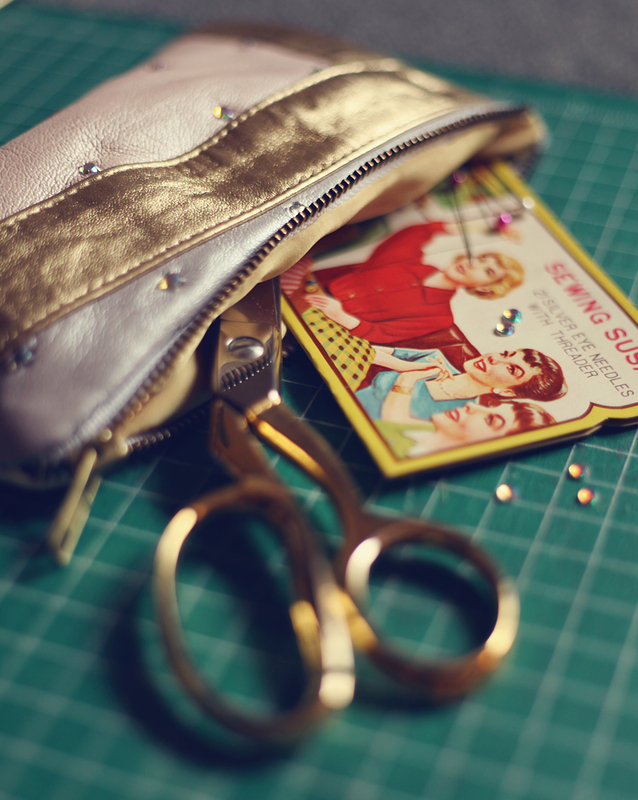 Now you have an adorable pouch that you can use for makeup, supplies, a catch-all, or even just a small clutch. Try different shapes and materials — I know I will be creating a few of these!